Ultra Music Festival 2019 officially kicks off this weekend, March 29th-31st, for the 21st installment on Virginia Key. How will the curators surprise us this year? Keep up-to-date by uploading the Ultra 2019 APP for real time feeds. There has already been 7 epic ways Ultra has changed the game for 2019. 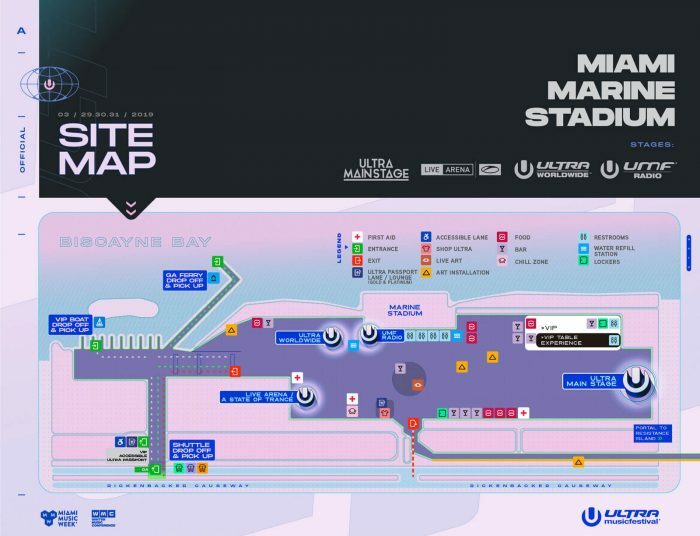 Scope the Ultra 2019 set times, festival map and pick up your transporation tickets and activate your wristband while enjoying some select tracks from 10 artists you shouldn´t miss. It is also important to note, Apple Pay will be accepted to save you from having to carry cash or cards. Odesza ability to transend the crowd puts them as an obviously go to. The Seattle based duo offers a stunning live performance every single time. enjoy their single ´Light´ featuring Little Dragons as you pack your festival bags. Few come as well versed in family values as that of long serving techno legend Adam Beyer. A husband, father and certified underground icon, the Stockholm-based DJ/producer has come to embody one of the most consistent and carefully constructed legacies to emerge from Europe and hold influence across the continents. Dog Blood is a project between Skrillex and Boys Noize. They only reunite every so often for special events such as Ultra. They’ve been known to throw down some wild bangers. Together, they’re eclectic with a heavy trap influence. Check out a clip of their set from Hard Summer a couple years back. We know what you’re thinking here. Like KFC Colonel Sanders? It seems that is the case. When word got around that the legend of Kentucky Fried Chicken was making an appearance, many laughed it off as a joke. However, he is listed to appear on the mainstage for 5 minutes between Dzeko and Nora en Pure. What he can accomplish in 5 minutes we aren’t too sure. If even just for humor, it’s worth shot to see what this is all about. Peekaboo has been on a steady rise to stardom within the last year. His brand new EP Wrecking Ball, landed on the top 10 chart on Billboard. A huge feat for having only recently acquired a widely-known following. Formally known as Brillz, LSDREAM is a new project that everyone seems to love. LSDREAM is set release an EP on bass monger label Wakaan soon. Also coming off a huge single release dubbed “Eternal Now” with Champagne Drip. It’s refreshing to see artists evolve into new projects and be successful with them. Listen to LSDREAM´s newly released singles to get a feel for his style. 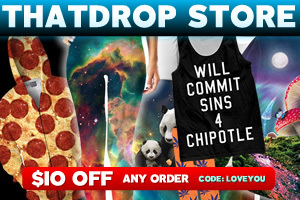 Deadmau5 is on our list for obvious reasons. His productions are over the top but in the best way. His cube has become a signature Deadmau5 creation. This year he unveils the new cube 3.0 at Ultra. Making her way over to the main stage after previous years performing at the world stage, the Swiss DJ Nora En Pure will bring a refreshing deep house, future house and indie set. As a more underground artist, she will be catching a lot of new attention from the main stage crowd, truly bridging the gap between the underground and mainstream. Don´t miss Canadian techno master Richie Hawtin touching the decks over on RESISTENCE Island Saturday at the Reflector Stage. Here is one of his minimal techno sets that we can´t get enough of. These artists are just the tip of the iceberg that make up Ultra 2019. Get to know the artists making their Ultra debut and more about the production, through our RESISTANCE Island article. We look forward to seeing how this year unfolds in a new location and with different stages. All we know is that we are in for 3 incrdible days of electronic music utopia.